Own music promotion with validation by the industry's finest. Promote your music or event thanks to active and popular Resident Advisor members, who will favorite your project or share and confirm attendance to your event. The RA members in our network come only from the world's most dynamic music markets: US, UK, Australia, Japan and the EU. Now THAT is how you promote your music event! Gain guaranteed attendances by 100 Resident Advisor members - real and active profiles on the prestigious online magazine. Increase your event coverage and launch your music to higher orbit. 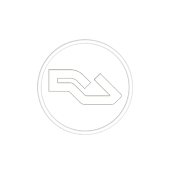 This pack gives you 100 event attendings by Resident Advisor members. If you're interested in full-fledged event promotion including social syndication and other goodies, check out our other Resident Advisor promotion services.